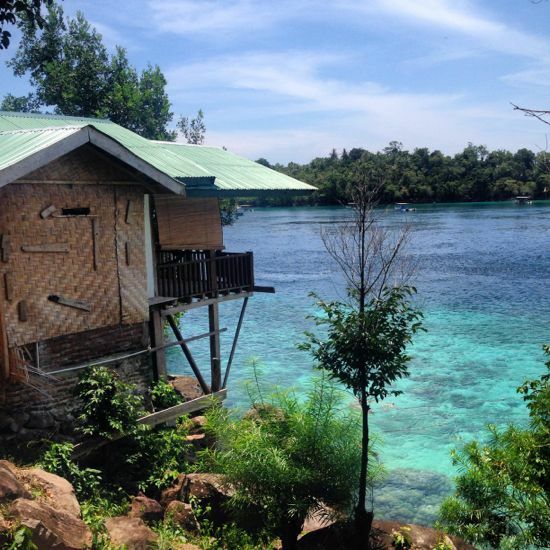 Pulau Weh at the northwestern tip of Indonesia finds a great balance between being basic and unspoiled but having enough infrastructure to keep a typical visitor happy. 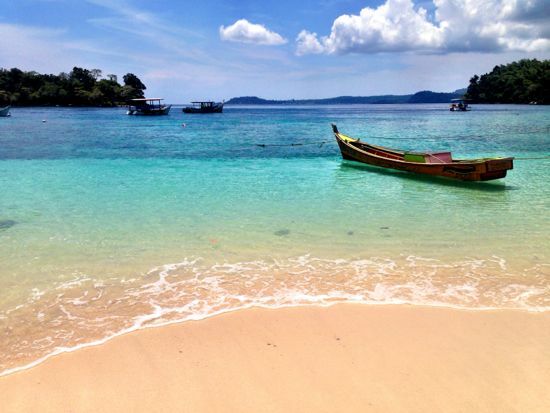 If you like your tropical paradises simple, Pulau Weh fits the bill. 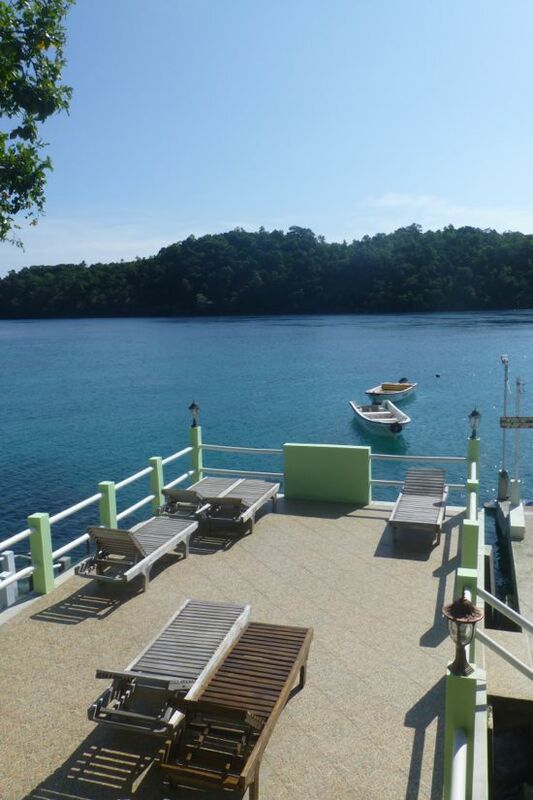 The following is a selection of our favourite places to stay on Pulau Weh – click on the links to see our full reviews. Freddie’s is one of the few recommended places on Pulau Weh not located in the accommodation and diving hotspot of Iboih. Located on a relatively isolated stretch of palm-fringed beach on the east coast of Pulau Weh, Western-operated Freddie’s hits all the right notes with clean and extremely tidy beachside shacks, a fantastic beach for paddling in and perhaps the best restaurant on Pulau Weh. The food is superbly prepared and is so far better than anywhere else on Pulau Weh that we recommend coming here to eat at least once even if you’re staying in Iboih on the other side of the island. Freddie’s faces a beach lined with palm trees. Located in extremely low-key Gapang, a stone’s throw away from Iboih, Lumba-Lumba Diving Centre is perhaps the top place on the island for those dive buffs who want an all-inclusive package at a resort. It’s a totally different feel from anything else on the island and won’t really suit people who aren’t into diving, as every single one of the people you meet will be talking about the day’s underwater activities. Still, dive enthusiasts will enjoy the all-inclusive nature of the place such that not a finger needs to be lifted to arrange food, transport or diving. Located close to the village in Iboih, Erick’s is convenient for those wishing to try out the multitude of local eating options rather than sticking to the guesthouse in-house restaurants. Aside from the great location, Erick’s has a handful of bungalows perched on the edge of the water with fridges inside, a true luxury for budget accommodation on Pulau Weh. But for us, it’s little touches such as colourful pillows that set this place apart from some others in Iboih — it feels as if someone cares about details as opposed to the clearly money-focused enterprises sometimes found elsewhere on the strip. This is a great place for those on a budget. Erick’s Green House has an almost-perfect location. 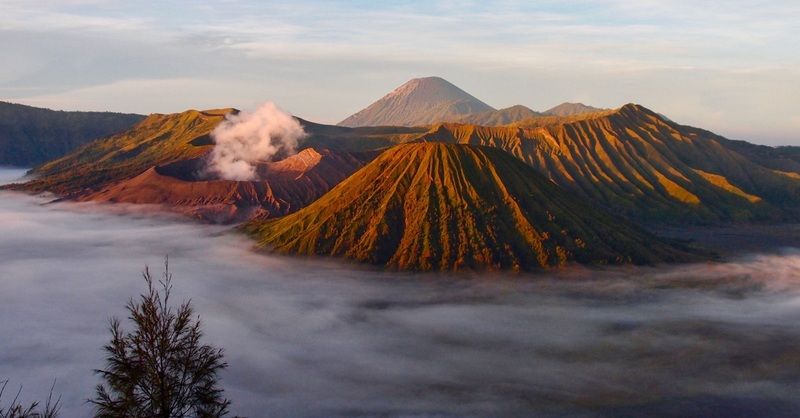 Located at the very far end of the jungle track which connects most of Iboih’s accommodation, Yulia’s represents a great choice for those wanting a modest, relatively clean bungalow and a great little in-house restaurant. It’s a combination of the great waterfront restaurant area and the waterfront bungalows with private bathrooms connected by a lit path that puts this place above some others in Iboih. That said, the cheapest options at Yulia really are bare bones and you might not experience the same enthusiasm as we do if you stay in one of those. This a great place if you’re looking for a cheap waterfront bungalow with private bathroom and WiFi (available in the restaurant only). Why not snack *and* sunbathe at Yulia’s? 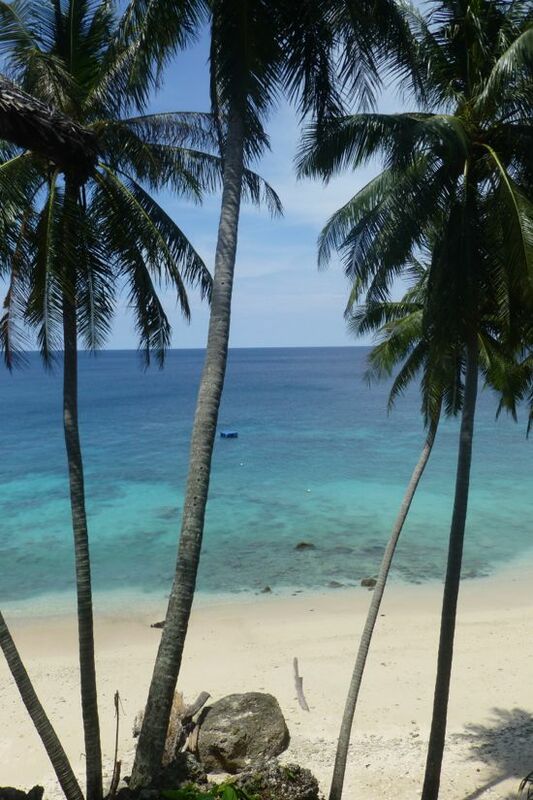 * See our full Pulau Weh accommodation listing here. While most accommodation on Pulau Weh is basic, it’s this simple, back to basics philosophy that really appeals to us. Those willing to splash out a bit more cash can also find their own slice of paradise without the place feeling like a tourist mecca. Either way, Pulau Weh is one of those places where rustic certainly trumps luxury and travellers seeking that should definitely check it out.